Home / How to Wipe Your Android Device and Restore It to Factory Settings? 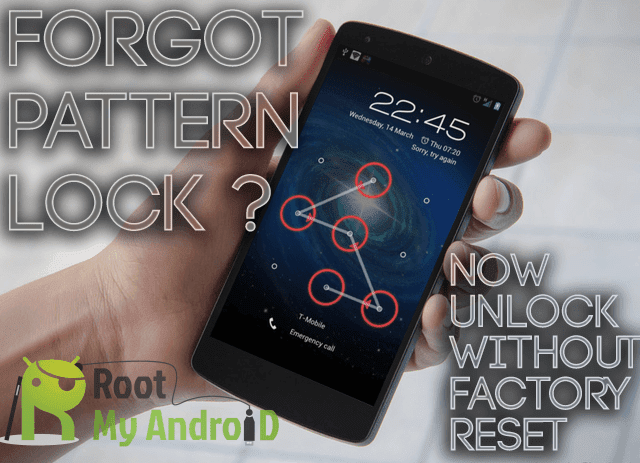 / How to Wipe Your Android Device and Restore It to Factory Settings? 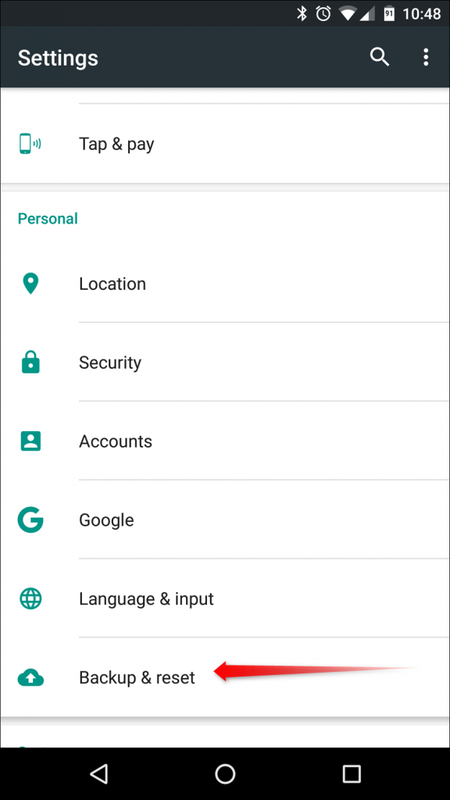 by Sunil Jadhavar on March 05, 2017 in How to Wipe Your Android Device and Restore It to Factory Settings? There comes a time in every mobile user’s life when he or she needs to factory reset their device. Maybe you need to sell it, or maybe it’s just being wonky and you want to start from scratch. Thankfully, it only takes a few minutes to do. If your device is fully functional, then you should be able to factory reset it from the Settings menu. The process is basically the same across all manufacturers, but keep in mind that the wording may vary slightly between phones. The first thing you’ll need to do is head into the Settings menu. On most newer handsets, you can do this by dragging down the notification shade and hitting the little cog-shaped icon in the upper right. 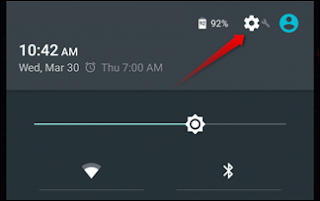 On stock Android devices you’ll have to pull the shade down twice—once to access the notification panel, then again to display the Quick Settings area. In the Settings menu, scroll down to the “Backup and reset” option and tap it. 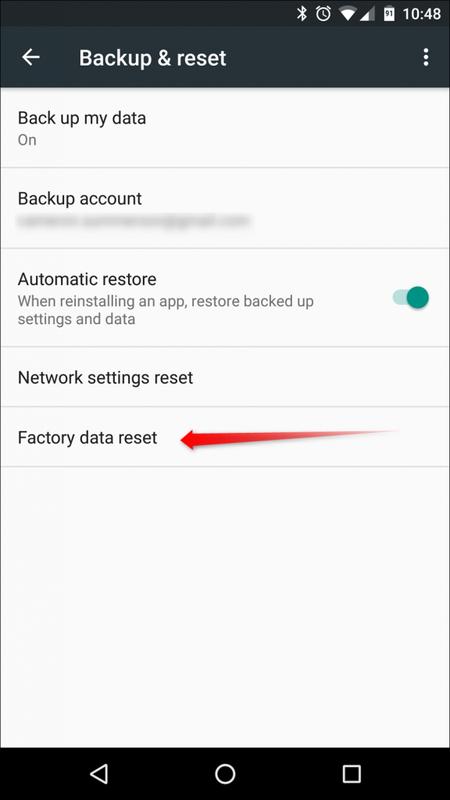 Select the “Factory data reset” option to enter the Reset menu. 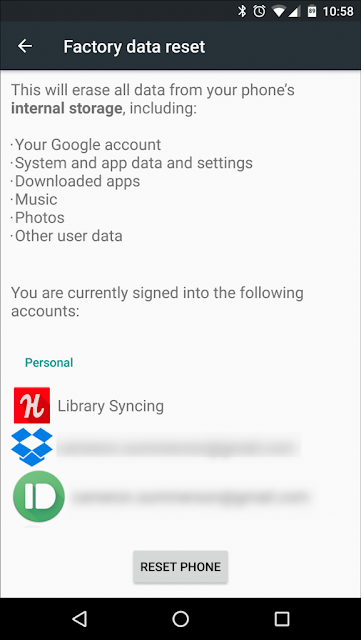 You’ll see a warning here to let you know that this process will erase all data on the phone’s internal storage. Tap the “Reset phone” button, which will prompt you to input your security PIN, password, or pattern if one is enabled. It’ll show you one more notice to warn you that all your data will be deleted. Hit the “Erase Everything” button to complete the process. 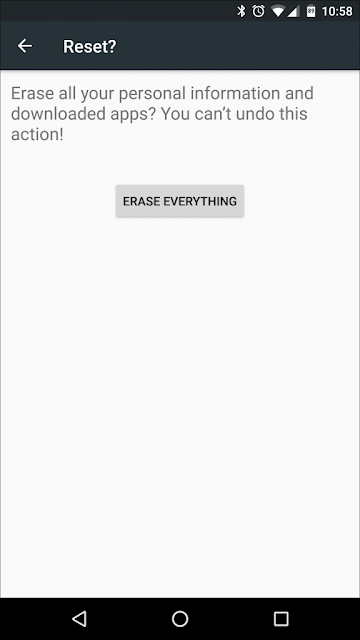 The phone will immediately reboot, and the “erasing” animation will show up. After a brief period, the phone will reboot itself a final time and prompt you to go through the set up process. While factory resetting your device will completely wipe the internal storage, it’s worth noting that the SD card may not be included in that. This will vary between devices, but if you plan on selling or otherwise getting rid of the device, it’s recommended to either remove the SD card completely or format it on the PC first. Tags # How to Wipe Your Android Device and Restore It to Factory Settings? Labels: How to Wipe Your Android Device and Restore It to Factory Settings?